If you’re thinking about starting up your own and becoming a self employed plumber then there are a few things you need to know first. First of all you’re going to need to be properly trained and have the qualifications to prove it, gone are the days when you could just become a plumber with no training because think about it, who is going to give you work? 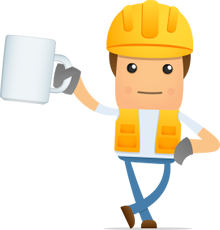 OK, the qualification that you are ultimately going to need to be considered a fully qualified plumber in the UK is an NVQ Level 2 in plumbing; get that and you can start up on your own. Right then, how do you gain said qualification I hear you ask? Well you’re going to need the correct level of skills to pass the NVQ assessment and you can get this with TRAINING. 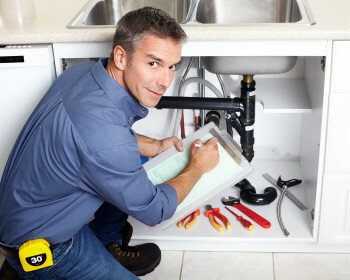 Due to the shortage of trained plumbers in the UK there has been a high demand to get trained up, spaces on local college training courses fill up quickly, and therefore are not able to meet the full demand for training, so dedicated plumbing training centres have sprung up all over the country so you shouldn’t be too far from one wherever you live. On these full time training courses you will be taught all the skills you need to go on to gain your Level 2 NVQ in plumbing (you can read more on theses training courses here). The course you take should be city and guilds accredited that way you’ll know your getting the correct training you need. Once you’ve completed your course comes the tricky bit, “technically” you would have all the skills you need to operate as a plumber, but you only gain an NVQ by getting an NVQ assessor out to observe you at work, they will watch you work and sign you off on different skills until you have built up a portfolio of work that satisfies their requirements. Now the City and Guilds course should have trained you to the correct standard to pass the NVQ its getting the work that’s the tricky part. You options are: get a part time job with your local plumber or firm, ask a local plumber you’ll work with him for free until you gain your NVQ, or ask your training school if they can get you on a work placement. There are lots of ways; you just need to think about the best way for you. Anyhow, once you’ve achieved your NVQ you would now be recognised as a fully qualified plumber and would be free to start up your own as a self employed plumber, you would also need further training and qualifications to operate on gas and electrics the plumbing courses may have included this in your course syllabus make sure to check what’s included before you start. Becoming a plumber from scratch is not a cheap exercise, with the training courses costing a few thousand pounds, you’re then going to need to obtain the right tools needed for plumbing work and then you’re going to need a mode of transport most likely a small van. But when you put the costs into perspective you’ve then got yourself your own business and you can be your own boss for the rest of your working life! And that’s it all you need to set up on your own as a plumber, Good Luck! Put an ad in the yellow pages. Get yourself a van with your details on it. Get yourself a micro website.